While virtually all themes can be used with Cart66, not all themes have support for the new Cart66 product post type introduced with Cart66 version 2.0. 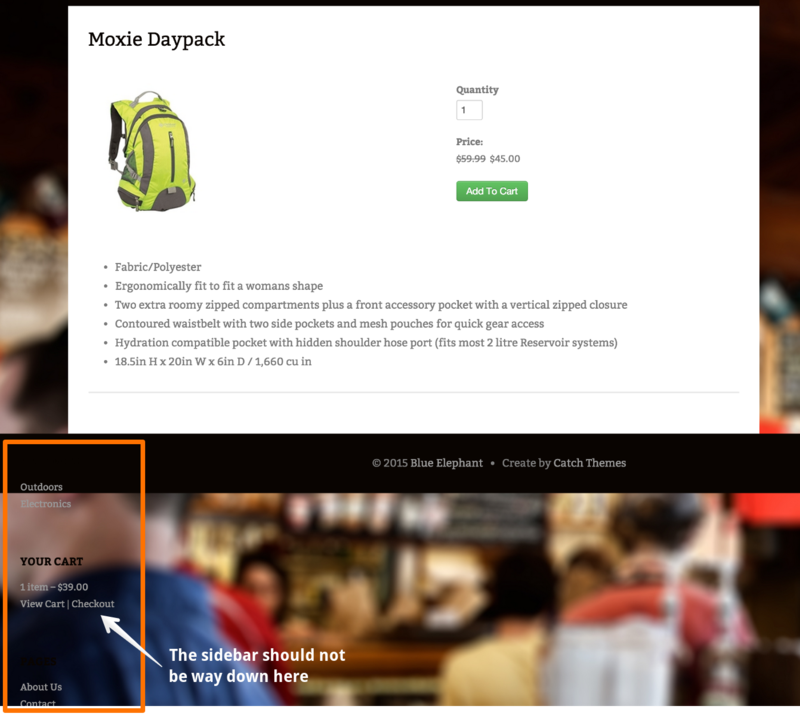 Many themes that do not explicitly declare support for the Cart66 product post type still look great. Sometimes, however, a theme will wrap the main content of a page in some fairly custom HTML markup or use some CSS classes to style the layout. 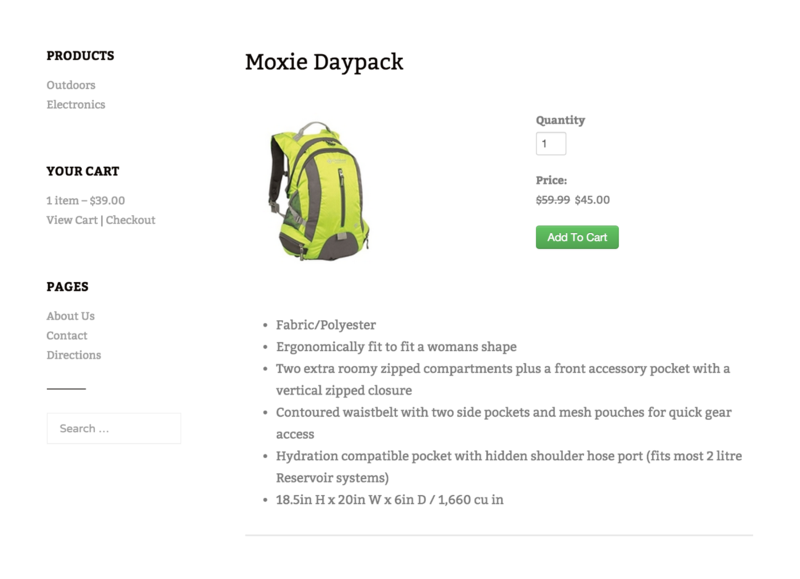 Here are a few things you can do, if you notice the page layout isn't looking right when using the Cart66 product post type to display your products. Most of the time, the problem you will notice is that your sidebar is thrown down to the bottom of the page. 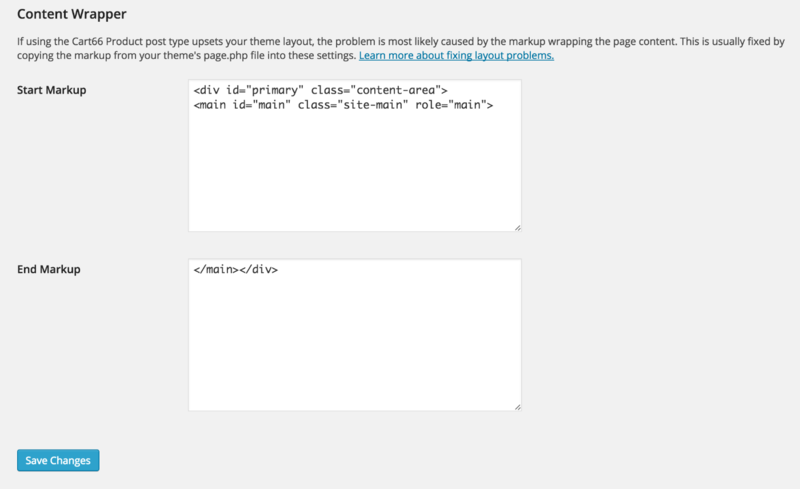 Here is an example using the theme Create by CatchThemes. You can see that the side bar is not being displayed properly as it is way down at the bottom of the page. Simply copy and paste the opening and closing markup tags into your Cart66 Content Wrapper settings. After saving the Content Wrapper settings, the sidebar is back to where it belongs. If you'd prefer to achieve the same goal without using the Cart66 Content Wrapper admin settings, you can use the filters built into Cart66. 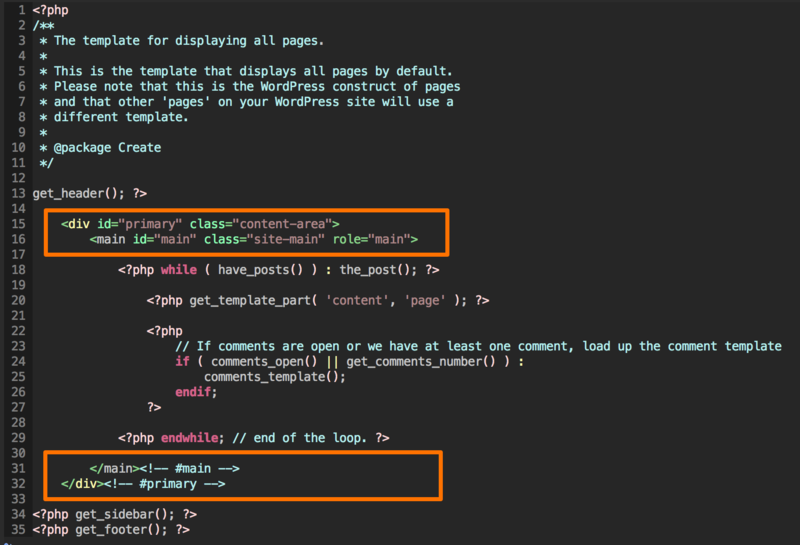 If you use this code in your theme's functions.php file you SHOULD NOT use the code in the Cart66 Content Wrapper settings. Just pick one or the other.